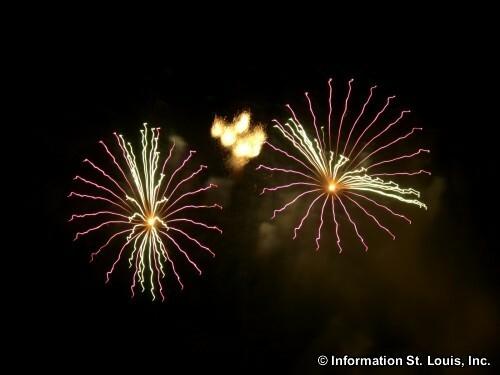 First Night is a family friendly New Year's Eve festival that takes place on December 31st in Grand Center in St. Louis, Missouri. The festival features visual and performing arts activities that take place indoor and outdoor throughout Grand Center. In years past, First Night activities have included a variety of concerts, ice sculpting with chainsaws, singing, dancing, acrobatic performances, face painting, arts and crafts, gospel choirs, cabaret acts, variety shows, illusionists, jazz artists, storytelling, street performers, jugglers, clowns, puppeteers, comedians, food, hot chocolate, fireworks and so much more. Many venues in Grand Center take part in the festivities and have included the Busch Student Center, St. Francis Xavier College Church, the Kranzberg Arts Center, The Sheldon Concert Hall, the Scottish Rite Cathedral and up and down Grand Blvd on several stages, in tents and at Strauss Park. The First Night celebration begins at 6pm with the opening ceremony taking place outside on the main stage at Grand and Lindell and ends with a fireworks display at midnight, set off from the rooftop of the parking garage at Lindell and Compton. First Night buttons, which are the ticket that allows visitors access to all the activities during the evening, can be purchased online or on the evening of First Night. The event goes on whether rain or shine (or snow) so dress appropriately. Being "family friendly", this is a non-alcoholic event.